Rejuvenate yourself with a dip in the mineral-rich hot spring pools and combine fine spa treatments and our relaxing accommodations for an amazing vacation in our Hotel Royal Corin Resort. The Thermal water at Hotel Resort Royal Corin is a natural, colorless, odorless, and mineral rich miracle. Thermal waters, has been known as the ideal source of healing and relaxation for thousands of years. 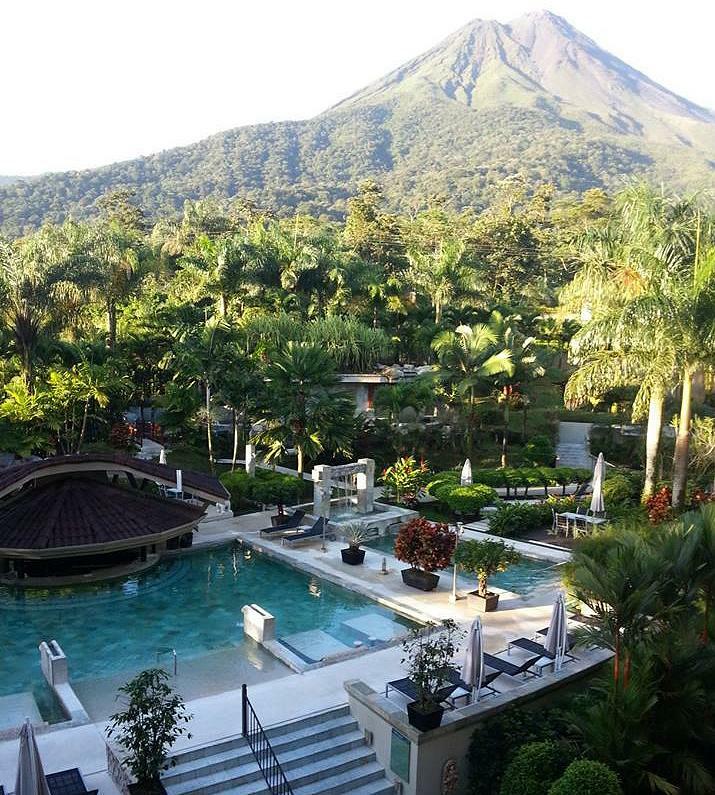 Our Thermal Waters are one hundred percent natural and rich in mineral salts and ions such as Calcium (CA+2), Magnesium (Mg+2) and Chloride (CL-) and Carbon, as they come from underground rivers beneath the Arenal Volcano. Due to the high mineral concentration, while soaking in these waters, your skin is moisturized and refreshed. It would be impossible to find anyone who wouldn't be delighted by a pool and dinner gift certificate to the Royal Corin Hot Springs Thermal Pools. And, with prices starting from just $ 39 per person, this welcome gift is also quite affordable. This voucher will give one adult access to the Hot Spring pools and outdoor jacuzzis and an executive chef lunch or dinner. Enjoy a relaxing time in our Mineral Hot Spring waters. This voucher will give one child access to the Hot Spring pools and outdoor jacuzzis and an executive chef lunch or dinner. For children from 4 to 13 years old. Children under the age of 4 are entitled to a free entrance. This voucher will give one senior citizen access to the Hot Spring pools and outdoor jacuzzis and an executive chef lunch or dinner. For seniors 60 years old and up. This voucher will give two adults and up to three children access to the Hot Spring pools and outdoor jacuzzis and an executive chef lunch or dinner. Enjoy a relaxing time together in our Mineral Hot Spring waters. Choose the amount you wish to give to your friend or loved one, and give the gift of relaxation, the gift of a day of pampering, and a gift you know they will love. The certificate may be used in our Thermal Hot Springs, restaurants, or spa.